At Butler Home Improvement, we strive to cater our window installation and replacement services to meet the needs of our clients in Collinsville and its neighboring regions, whether you require one new window or total home window replacement. If your windows rattle in their frames, disperse your in-home heating and cooling, or do not properly lock, it is time to think about installing replacement windows. In addition to adding charm to the interior and exterior of your home, new windows will add to your home’s energy efficiency and security, as well. 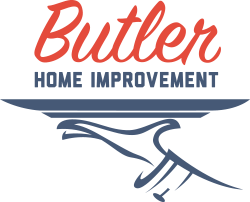 Butler Home Improvement has provided window replacement in Collinsville and the surrounding areas for over twenty years. Our technicians have the experience and skills you demand. No matter the home improvement services that your home needs, our staff ensures that you will be 100% pleased with the work completed. From deck installation to bathroom remodeling and everything in between, our services are backed by a two-year labor warranty which guarantees your satisfaction. We also offer financing options ensuring you can renovate within your budget. 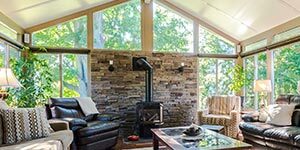 If you would like to learn more about sunroom design or obtain a window replacement cost estimate, call Butler Home Improvement today at (618) 344-7073!